Last week on a particularly hot August day, my mind was my companion as I was in the middle of the organizing and packing associated with this relocation adventure. Although I was alone, I could hear a phrase over and over in my thoughts as clearly as if someone were speaking to me. “Everything is a mirror,” it called to me over the crunch of the packing paper. “Everything is a mirror,” it whispered to me while I taped a box closed. “Everything is a mirror,” it finally stopped me from all productivity. I grabbed my pen and my journal. I was going to search within myself to uncover the meaning behind the phrase. As I began to write, I had images of Alice’s journey down the rabbit hole and into Wonderland. This nonsensical phrase was ringing in my ears and disturbing my day, and I was going to silence it for good. After some time praying and writing, the voice seemed to have calmed significantly. Through my writing I had gained an understanding to the way I was transferring my own fears onto other people. The concern that I had over letting go of people that I care for, was the realization that they have the ability to let go of me. My fears of moving on were really the greater fear that others will move on without me. It seemed to be very simple. I praised God for allowing me to have this small insight into myself, and I prayed for the courage to let Him continue to transform me. The voice was silenced, and I could hear my memory work, along with the other familiar household sounds. In 0.33 seconds I had 167,000,000 results. I began to scroll through the results. I was on a mission, but I wasn’t entirely sure what it was I was seeking. I closed my eyes and prayed not only for the protection of my heart, but I also I asked our God, who gives generously to all without finding fault, to give me wisdom. 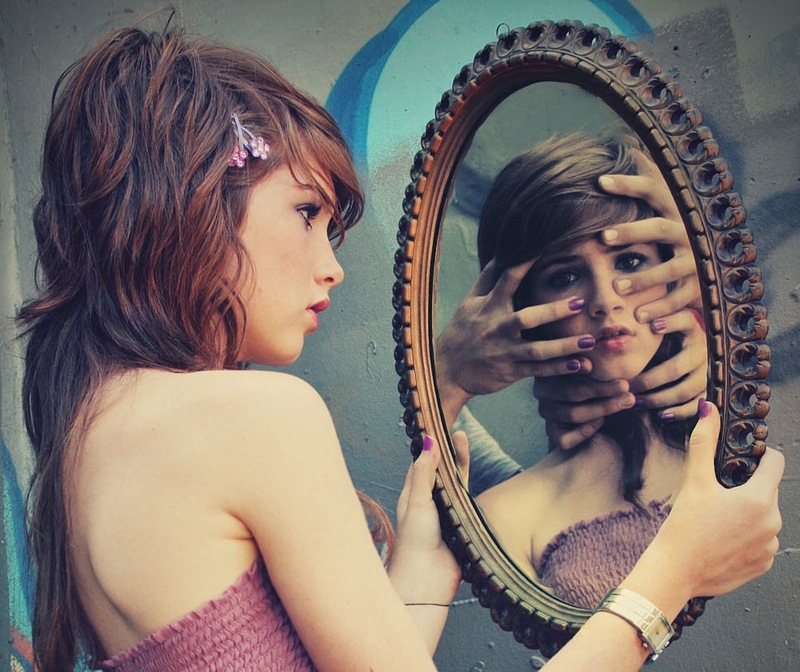 Then, I stumbled on an article in Psychology Today, Are Other People Your Mirror?, by Michael Formica. As I read the article I could hear it resonating with the truths I have come to know about myself. I could hear it speaking; it was as if the author knew secrets about myself that I have known for years. The article spoke of a person’s Healthy Self Perception, in relationship to a person’s “Reflective Self Perception”. Obviously with a healthy self perception we see ourselves in the truest light of who we really are. With the latter, we begin to allow what others think about us to reflect and dictate the decisions we make. The more we do this, the less dimensional we become. In the same way that a mirror is not as full, we become less full and less vibrant. We slowly become a reflection of what we think others think we are. When a person is controlled by a Reflective Self Perception, they lose themselves. They slowly evolve into what they BELIEVE others think they are. They don’t necessarily become what others think they are–they become the person THEY THINK others think they are. This resonated so deeply with me, I could feel it in the tears that sprang up and stung my eyes. For years I have believed that everyone else believes the reason my husband and I are still married is due to his strong character–in spite of the woman I am. This was a belief I held long before I had opened myself up to the advances of another man. This was decades of seeing myself in a negative light. We had faced every parent’s nightmare when our daughter died, and statistically 80% of marriages end when there is the death of a child. For years I believed that the people who really knew us credited my husband’s faith with being the glue that held us together. For years I also made every demeaning joke about my sexual past that I could. Because I had made poor choices prior to meeting my husband, I constantly derided myself in a so-called effort to be the girl who could “laugh at her past”. I would jokingly refer to my former self as a “skank-whore” or an “SW”. But deep inside it was really an effort to say what I believed most people really thought. For me, it was better that I say what they were really thinking anyway. People who loved me would tell me to stop, but it was so deeply ingrained–I would think it even if I didn’t say it out loud. 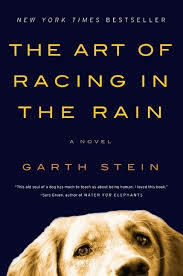 As I read the Psychology Today article, it reminded me of a book I had read years ago, The Art of Racing in the Rain. The book relies on the premise that the things we think about, eventually transpire. For some people that may be a little too New Age way of thinking. I don’t buy into the health, wealth and prosperity of it, but I do think that the things we believe internally about ourselves will eventually surface in one way or another. In so many ways, I had steered myself right into adultery by devaluing myself. I had driven myself right into the arms of someone else by believing terrible things about myself for so many years. My Reflective Self Perception was so low that I was a car accident waiting to happen. The garage door was wide open for the enemy to take advantage of the situation. Since that day, I have taken these thoughts up with my therapist and with the people closest to me. Asking them if they see this in me, and if they see this in their own lives. Do we really become what we THINK others think we are? The idea seems to hold weight for others as well. Since that day, I have been praying over these thoughts, and I have asked God to give me insight and wisdom in how to proceed. The simplicity of not caring what other people think doesn’t hold water for me. If I pull something OUT of my head, I have to replace it with something. As I worked through these thoughts today, the Lord gave me a plan. It seems repetitive, and perhaps that is because it is really that simple. It comes down to listening to the ones who are willing to speak rather than listening to the imaginary thoughts of people who haven’t made an effort to communicate. 1) LISTEN to the those who are communicating with me. Dozens and dozens of people have reached out to encourage with their belief in me, their hopes for my future, and the good that they still see in our marriage. These are loving people who have taken time to write and tell me what they do think. I need to take the time to go back and read the letters that have been written, and allow them to remind me of the good that is not only in me–but in the heart of a person who would be willing to encourage another person, in spite of the person’s guilt. 2) LISTEN to the man who loves me more than any person on this planet. I don’t understand my husband’s love. I cannot explain to anyone–even to my children. In my lifetime, I have never felt such love and I have never had a person who spoke my language when I needed it more. For several years–more years than I was in the affair–I didn’t value this man or the things he would say to me. I believed the positive things he said to build me up were a testimony to his character, not mine. I believed that he would have loved his wife as Christ loved the church no matter who he had married, and that it had nothing to do with me. He tells me this is not the case. Shortly after the affair came out, he drew me into his arms and told me that he would rather be married to me–on my worst day, than to be with anyone else–even a woman who “would never do something like this.” He told me that the same part of me that messed everything up was the part of me that he loved the most. This man speaks truth into who I am, and into who I want to become. 3) LISTEN to the One who knows me like no other. Hidden in scripture are verses telling me of God’s passion for me. I have heard them and passed over them time and again. Well, those times need to change. At this moment, I cannot quote even one scripture to you that would remind me of how God sees me–but, I know they are in there. And, as I have been meditating and memorizing on other passages, I have a renewed confidence in my ability to find them and to learn them. I will allow them to swallow me up and transform me. If it is true that we are all touched a little by the Reflective Self Perception then it’s just time for me to change the mirror that I have been using. The old mirror was damaged and worn, and since I am in the process of cleaning out closets it seems like the perfect time to toss it in the trash or to trade it in for a mirror that reflects not just who I want to be, but who I was always meant to become. Well said! I think this reflects (see what I did there?) a little bit in every woman.Let’s all become a little bit less likely to move in this negative pattern and let those who speak truth show us the mirror more often! You mean more to me than I will ever be able to explain. Thank you for your faithful friendship. I love how God uses you and your words to reach into the depths of what so many feel. You are such a blessing and gift from God to me! Keep listening… and keep sharing… the world needs more people just like you! Very well written. Jackie please look into Gods Mirror and see Forgivness, peace p and a love for you like no other. Thank you Connie. I try to do that every morning. I believe in His forgiveness. It is the forgiveness of people that I may never fully see. Candace, thank you for reading. I wonder about you often. I know God has great plans for you. I cannot wait to see it unfold. Jackie, your writing touched my heart more than you know! In a lot of ways you described me! You my dear lady, I have always thought was beautiful inside and out. In fact there was a part of me that wanted to be more like you. I loved your marriage (you and Dave have always been wonderful examples), I love your faith and ability to speak and write. And I have admired your strength! Now I get to learn to like what I see in the mirror! Lorrie, thank you for the thoughtful response to this post. I appreciate you sharing with me; your complements are very kind and gracious–especially in light of my past behavior. Admiration flows from me to you as well. You have a positive energy constantly pouring out of you, and it is obvious that energy is a an overflowing of God’s love and Spirit within you. Thank you for reading and thank you for commenting. It means a lot. Blessings.